All her life Winifred Dalen has heard fantastic stories passed down from her grandmother and aunt about a mysterious universe and a secret family gift. But are the stories real? Now that Winny has turned twelve, it's time for her to choose to believe or not. If she accepts them as truth, Winny has been told she will begin an amazing and magical journey. But she will also face wicked adversaries who want to steal her gift and keep her from the final destination. Who, or what, will win her heart and mind? And how can Winny fight an evil enemy alone, especially when she can't even conquer her own schoolwork? To help her decide what to do, Winny enlists two faithful companions; her sometimes too brilliant friend, Vince, and Ginny, er talented and semi-mystic Samoyed dog. When Rita moves next door to Vince, Winny soon realizes that this girl revels in making her jealous. Rita stalks them, determined to discover why Vince and Winny keep sneaking off alone to look for some strange gift. But would following them be more dangerous than Rita could imagine? However, none of it matters because in the Dalen family, before the journey can begin, each daughter must discover the gift for herself. And Winny still hasn't found it. Book I of Trinity Tales of Tresia is as accurate an allegory of spiritual things as I have ever read. Ms. McPhail has melded fantasy and scriptural truth into an alloy that depicts eternal realities for readers both young and not-so-young. And it’s a smashing good story, besides! How wonderful that there is more to come in this fascinating trilogy! McPhail has skillfully crafted a story of mystique and intrigue that immerses the reader into the lives and adventures of Winny and her crew of fantastical friends. Children of all ages will likely enjoy this tale of imagination, but I believe that the messages of trust, empathy, and faith can be especially meaningful for middle-grades readers as they struggle with beginning their own transformative adventure into early adolescence. I am excited to see how Winny, Vince, and Rita continue to grow and develop as this series progresses. These characters have the potential to serve as needed guides for youth as they navigate the physical, cognitive, social, and moral milestones that point them toward adulthood. I Love Winny, Vinny, and Ginny. 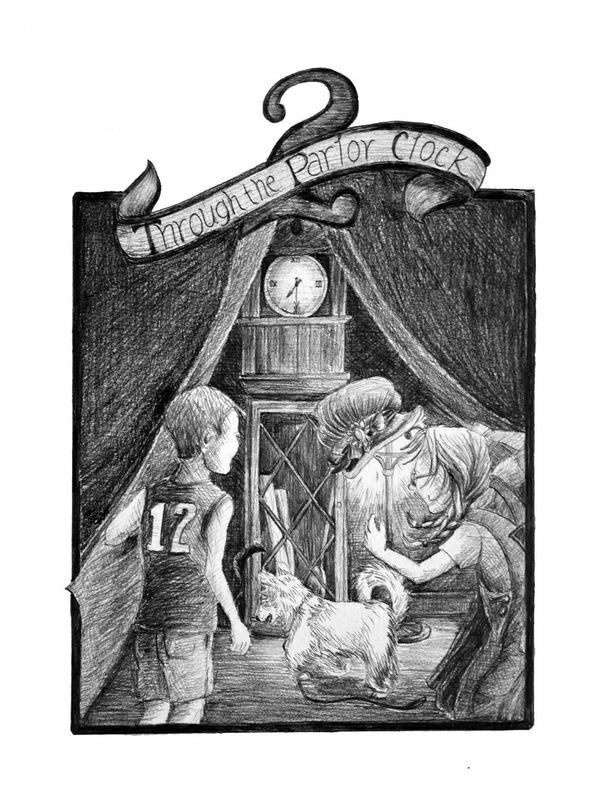 Winifred knows in her heart that the traditional escape from school boredom will bring an exceptional summer adventure because this year she is twelve. 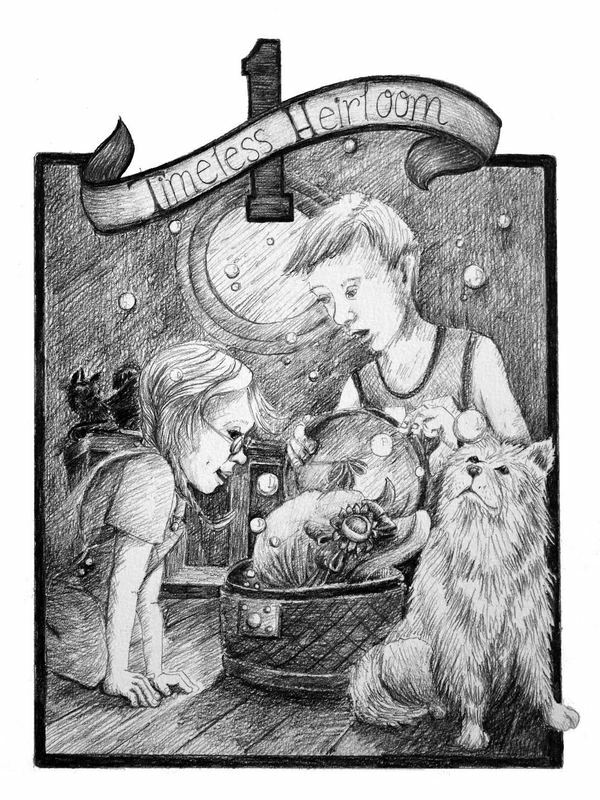 But she has no idea her grandmother's heirloom hat will have a contested power to whisk her on a magical adventure through a bubble tunnel to the beach, into a secret passage within a clock, and up tree stairs above the clouds. With her best summertime buddy Vincent who helps her interpret clues to explain the supernatural, Winny begins the journey of a lifetime. Only her loyal Samoyed, Guinevere is aware of the dangers that lie ahead. Loveable characters make it easy to cheer their success as they grow in wisdom and battle for their place in eternity. The author of "Trinity Tales of Tresia" deftly spotlights the difficult transition from protected youth to an age of responsibility and choice in a natural world of darkness. Powerful help is available in a tale reminiscent of "The Lion, The Witch, and The Wardrobe" by C.S. Lewis. This is a lovely story for all ages. 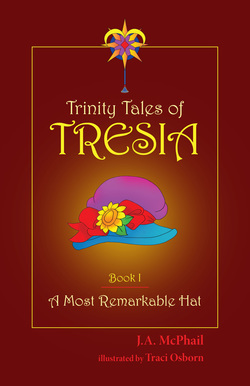 "Trinity Tales of Tresia" is the compelling story of 12-year-old Winny, who travels "Beyond Time" accompanied by her devoted dog, Ginny, and humor-loving best friend, Vince. The three of them have amazing experiences, discover incredible worlds, and meet unforgettable characters. But be warned. There’s a risk. New neighbor Rita and a determined black cat could ruin everything. The tale will appeal to kids with a thirst for a fantastic quest, an appreciation of humor, and an affinity for curious, likeable, and energetic characters. The book will resonate with any parent or grandparent who has prayed that a particular child will make the right decisions while embarking on the sometimes scary quest of faith. The unforgettable portrayal of a Samoyed dog and her nemesis should attract animal lovers. Finally the vivid language should appeal to poets of any age. I thoroughly enjoyed the superb plot, the vivid poetry, the humor, and the magical exploits. But most of all I loved the memorable characters, the colorful ones from beyond and the down-to-earth children with their wonderment and worry and willingness to give this other-worldly adventure a try.